Ruse Escape Rooms is new on the scene, adding to the impressive line-up of rooms in the Golden Horseshoe area. Still a work in progress, Ruze is located in downtown Burlington and currently offers a single room from which guests can escape. They have big plans, however, and we are very interested in seeing how they carry these plans out. Ruze is easy to locate and access, with ample signage and parking on-site. Taking the stairs down to the lower floor, we didn’t notice an elevator, so keep that in mind when considering this location. The waiting room has enough seating for one group, and has basic offerings (cards, puzzles, etc.) to keep you entertained until your booking. 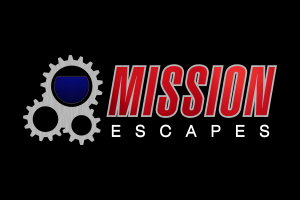 The staff are very friendly and approachable, and are dedicated and enthusiastic when it comes to escape rooms in general, but especially to the endeavour they’ve undertaken. The pre-room experience overall needs work, but they are aware of this and do have plans that they are following to improve every aspect of their business, and what you may experience with the room intro will vary depending on the staff present that day. Walking into Project: Genesis, we were underwhelmed. The visual of the first room left us hoping that there was more to see, and luckily there was. The room design improved as we progressed, and overall we thought that the set design and quality of props added to the experience. There is definitely room for improvement, especially with some of the props as well as use of space, but for a company’s first room, it was well done. Immersion can be difficult to pull off, following a consistent theme and feeling in a room. This is compounded when time traveling to different eras is involved. Ruze has done well when it comes to their sets, and have included variations in lighting and music that add to the ambience of their rooms. The story is standard, and while the introduction was lacklustre, the progression of the story keep it present in our minds. Again, there is work to be done to improve these areas to make them great, and while there was no wow factor, Ruze offers a solid experience as is. In our conversation with the staff before the room, we were told that puzzles was the main area of focus for the Ruze team. 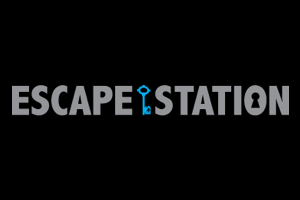 This was good news, as strong puzzles are the foundation of a quality escape room. We definitely weren’t disappointed by our experience with their puzzles, as the puzzles were numerous and thematic. Sure, we had seen some of them before (as is bound to happen with however many hundreds of cumulative rooms under our belts), but what we really liked about the puzzles was the fact that we often had to rethink them. Personally, there were a number of times where I found pieces of a puzzle and thought that I had the solution nailed, only to have the last piece of the puzzle show me that I needed to rethink my approach. I loved experiencing that revelation. Ruze also adds a number of “side quests” to the room: puzzles that aren’t required to escape. Solving these puzzles accumulates cubes that can be turned in for prizes after the room. Was Project: Genesis FUN? Most of it was. For us, the first room was not as enjoyable as the rest of them, but it didn’t take away too much from the overall experience. We felt engaged throughout the experience, and enjoyed most of what we encountered. There is a good variety of puzzles here, and we were rarely all focussed on a single puzzle. We recommend groups of three or four for this room. The suggested maximum of eight is FAR too many people for the space, and even six, the top end of their recommendation, would be cramped in the space. 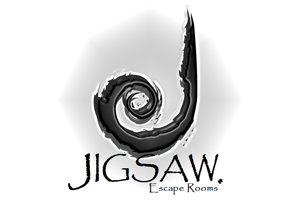 We also suggest that first-timers bring at least one person with some escape room experience, as some of the puzzles could leave you scratching your heads. Overall, we enjoyed the room, and are looking forward to seeing Ruze develop.